Pizza? Several choices here in Prescott. However, Two Mamas Gourmet Pizza has a huge selection of all types of extremely delicious entrees. Their Calzone is more than enough for two of you! Like Cannolis? OMG, the owner's personal recipe is just like a New York Cannolis!!!! Needless to say, we LOVE their huge selection of different Pizza's! Fresh Bread & Pies ~ WOW - wait till you try the Rustic Pie Company, 802 Valley St. (right behind Fry's Supermarket). 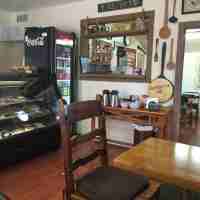 They make fresh Pies, Breads, Soups, Rolls and Sandwiches that are just incredibly delicious! Need to order Breads and Pies the day before - but, oh, so worth the wait! Murphy's Restaurant is right off the square at 201 N Cortez Ave. It is a very large historic corner building with lots of seating and a great bar to drink and people watch. Their Menu is excellent and the atmosphere is wonderful. El Gato Azul is a great restaurant as well. 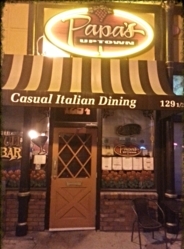 They offer outdoor seating with live entertainment on some occasions. Their Menu is always changing and very delicious indeed! Lindo Mexico is a great authentic Mexican restaurant off of Iron Springs Rd, in the same shopping center as the Walmart SuperCenter. Great food, excellent service and more than enough portions too! Dee Thai Express offers excellent Thai food, here in Prescott. Small, simple setting with excellent choices and prices. Located at 520 W Sheldon, very close to Miller Valley. 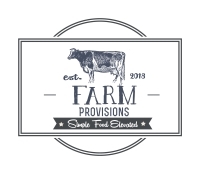 Farm Provisions is a very upscale restaurant that prides itself on fresh food. 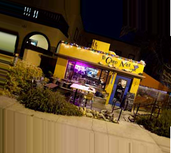 The are open for Lunch and Dinner and offer excellent varieties of menu items. Located at corner of Montezuma and Willis in downtown Prescott. Italian Deli? Wait till you see the new Fresca Cafe on Highway 69 in Frontier Village - OMG!!!! They have real Italian Meats, Gelatos, Deserts and Cheeses - right here in Prescott, AZ. Just doesn't get any better! There is one restaurant that you really want to steer clear of though! We wanted to grab a quick meal so we could sit outside and listen to the Blue Grass Festival at the beautiful square, right in downtown. We chose a place called "Devil's Pantry" - wow... nothing went right!! First, they only accept cash (ATM 'conveniently' inside though); we ordered 2 items - a "Prescott Burger" and Turkey & Gravy Fries. The price was fine. The wait to get the 2 items was incredibly long - only 2 orders came out before ours!?!? !Remember now, it was only 2 BASIC Menu items!!! The wife was so excited to see Turkey and Gravy Fries on the menu, she never considered anything else. Again, total disappointment! The Turkey was in "cubes"... never seen that before for this menu item! Worst, it was hard and old and tasteless Turkey..... fries were incredibly salty and the gravy was right out of a can!!!!! Don't get us wrong! I know there are some really outstanding restaurants in Prescott - just stay away from this one!